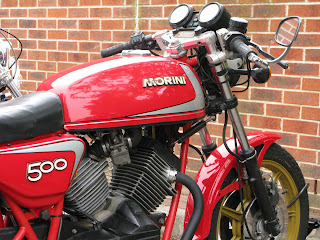 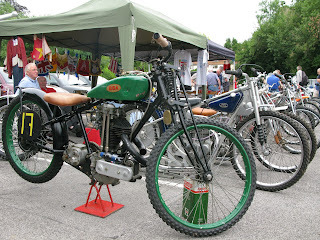 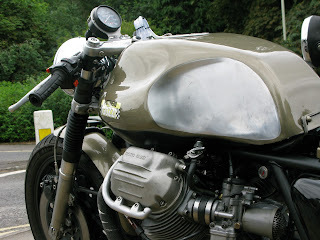 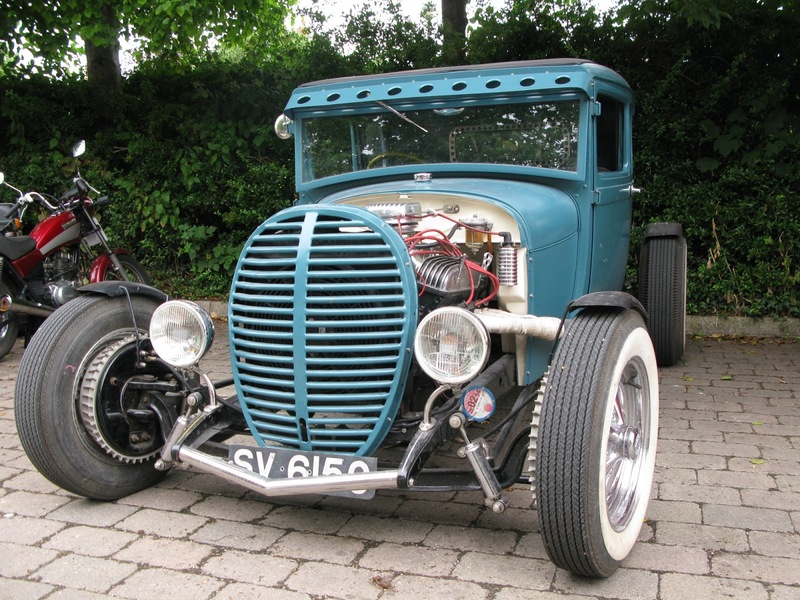 Gorgeous oily rag Minerva v-twin from Holland. 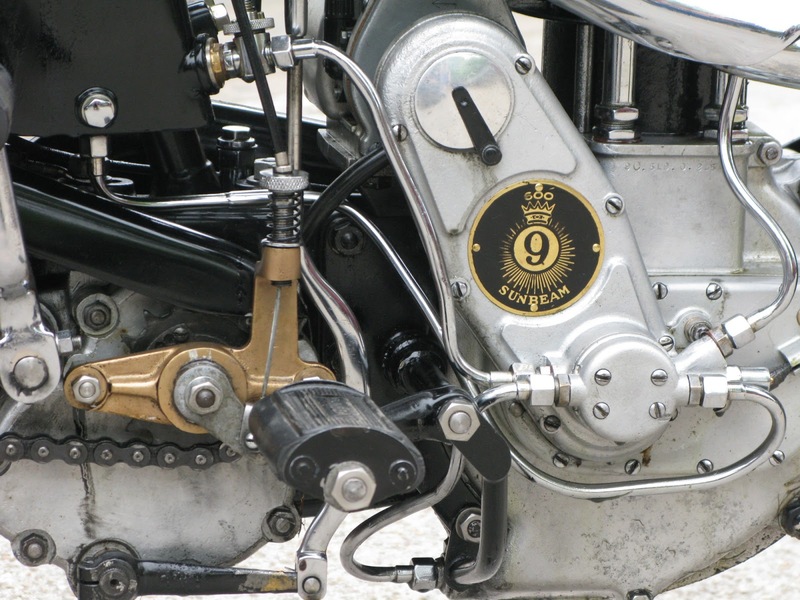 Close up of the Minerva. 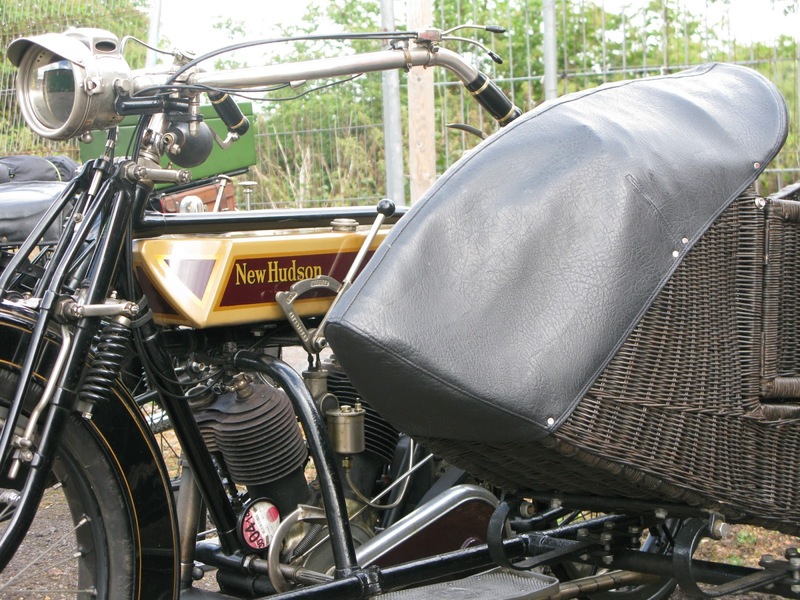 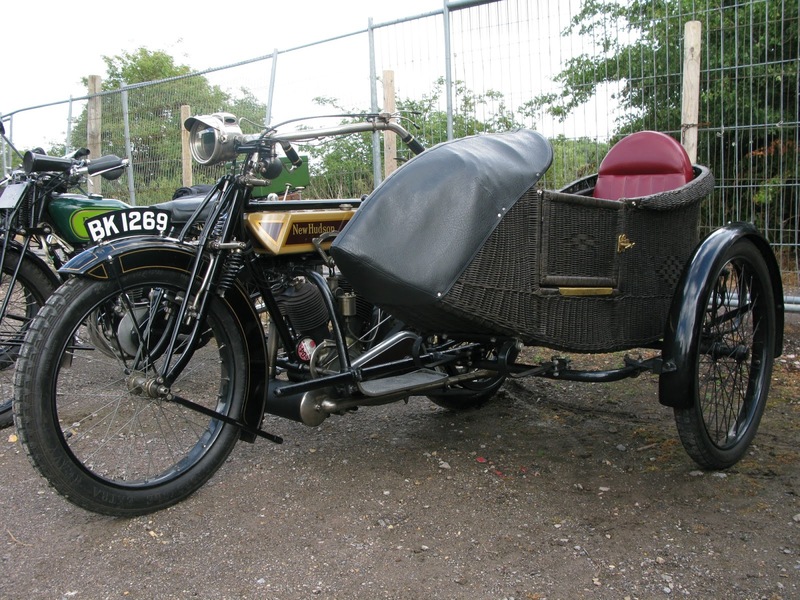 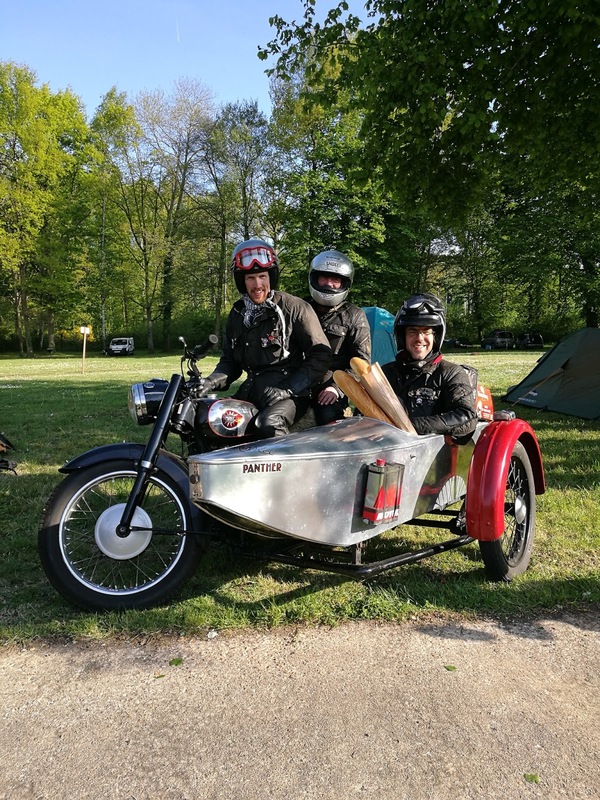 New Hudson v-twin with a superbly restored wicker sidecar. Engine detail on the New Hudson. 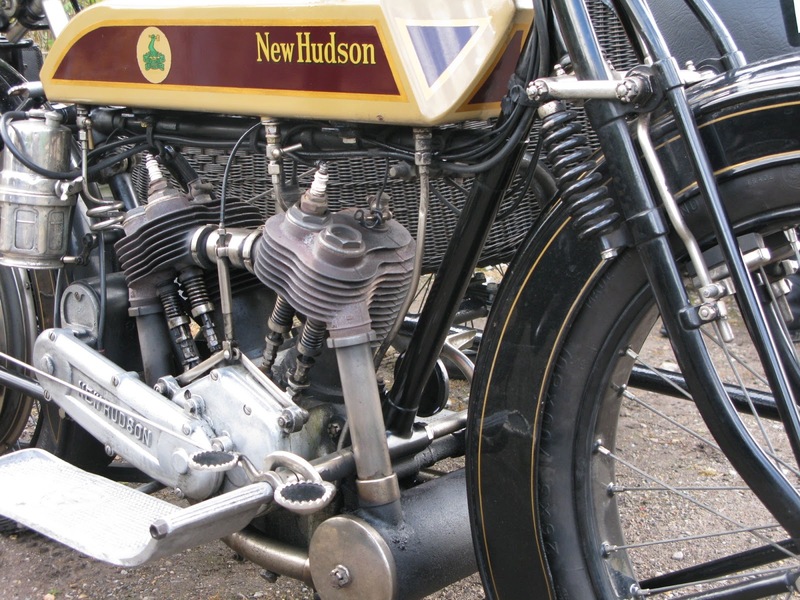 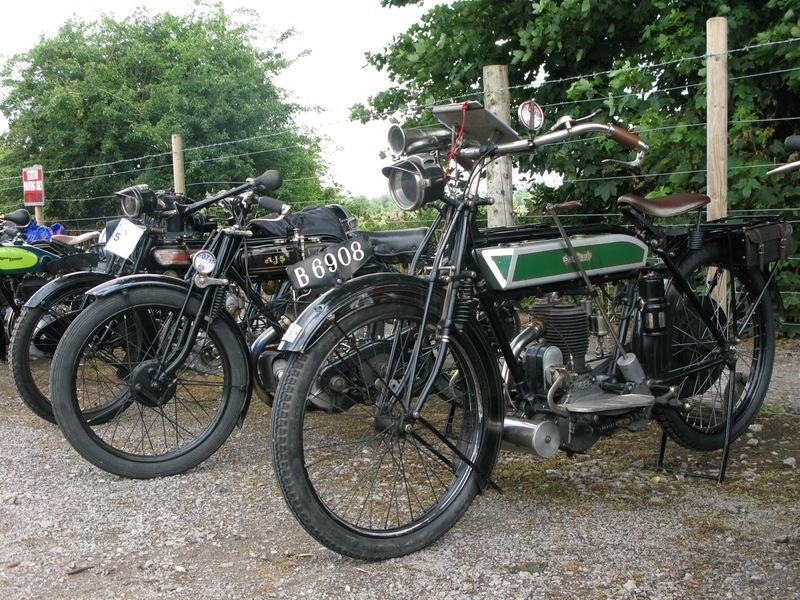 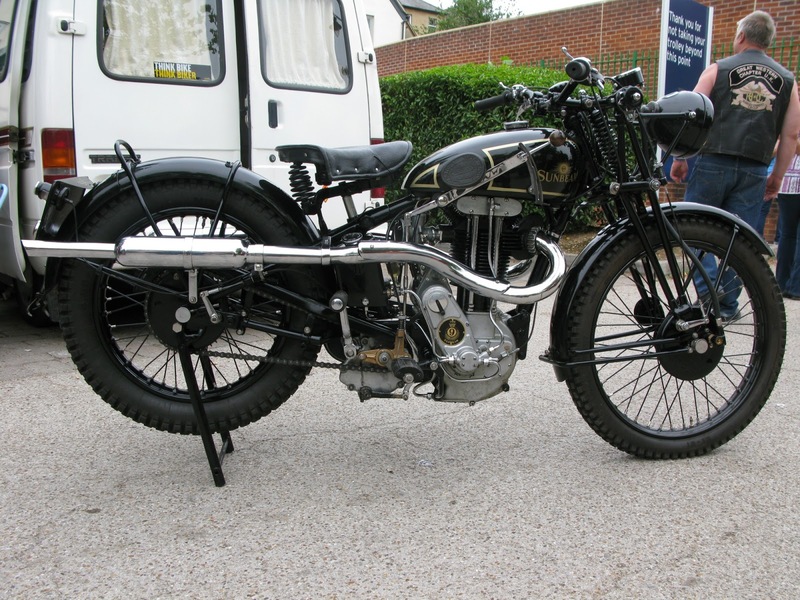 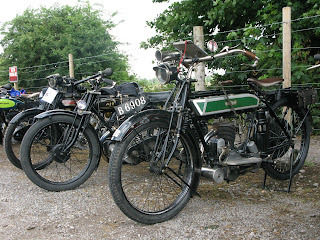 1929 Norton Model 18 heads off. 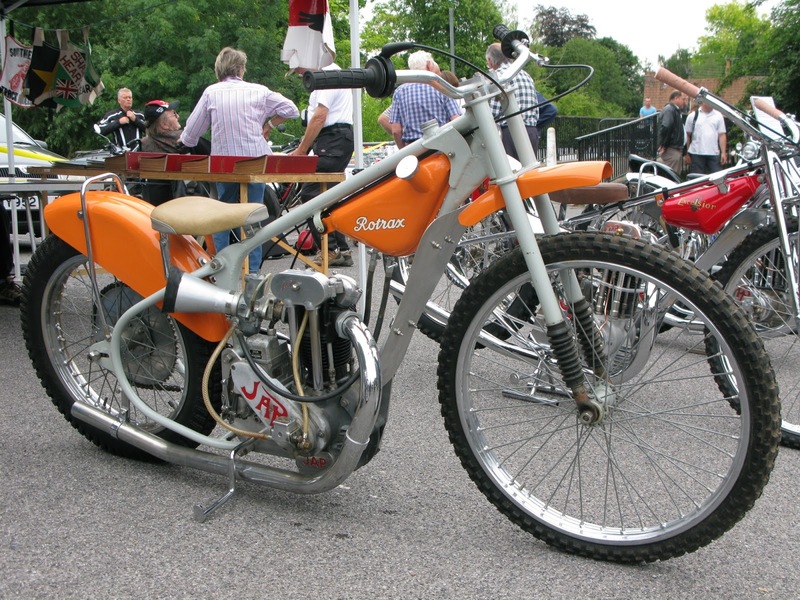 Full view of the Singer. And here's the other side of the Singer motor. 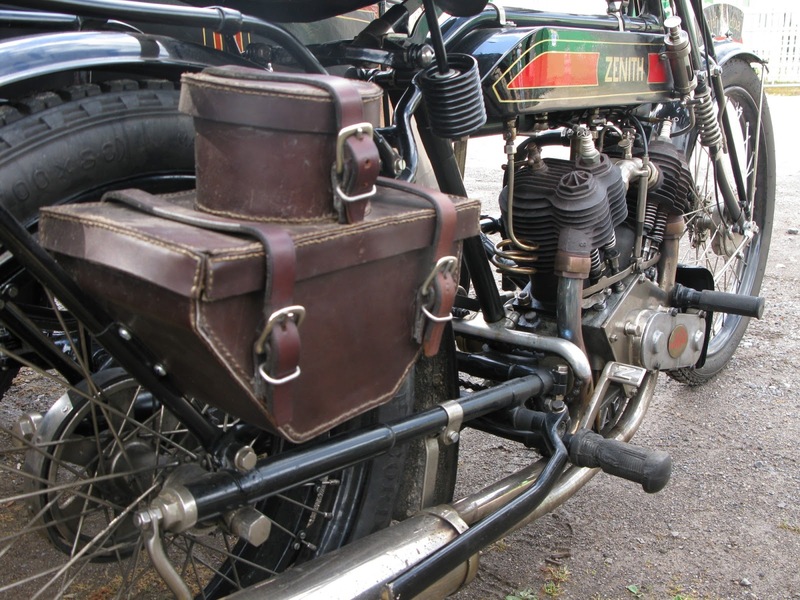 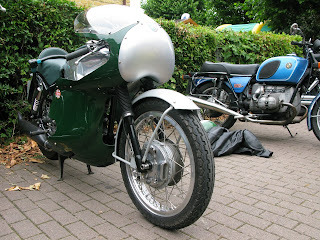 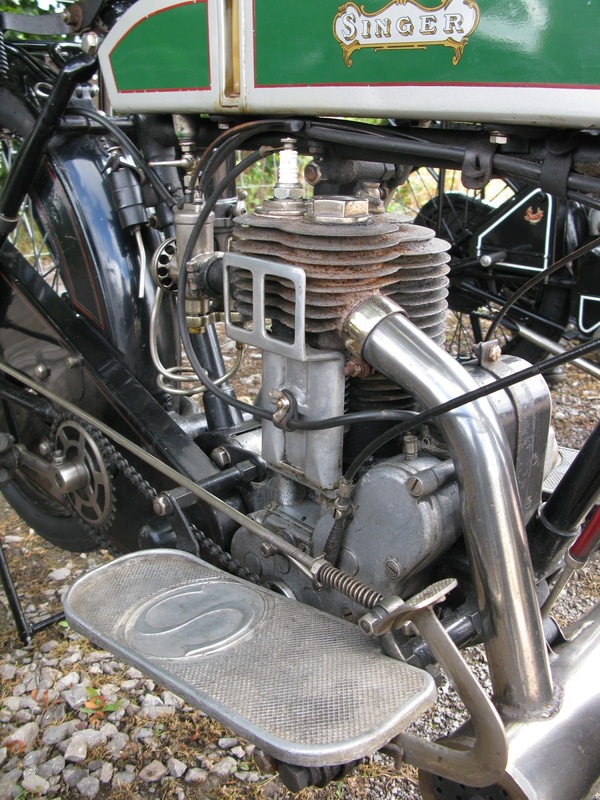 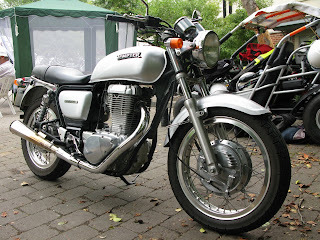 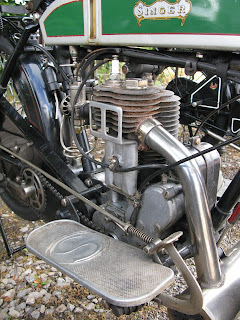 Very fine Zenith Gradua v-twin also over from Holland. Another view of the Zenith. 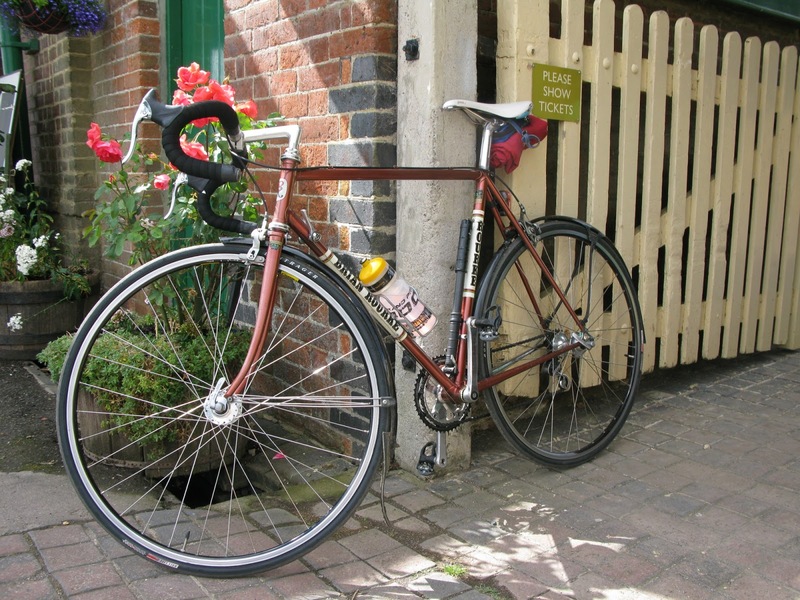 nice Brian Rourke road bike. 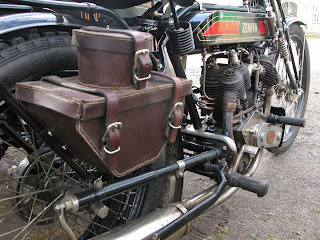 Henderson combo going up the Khyber! 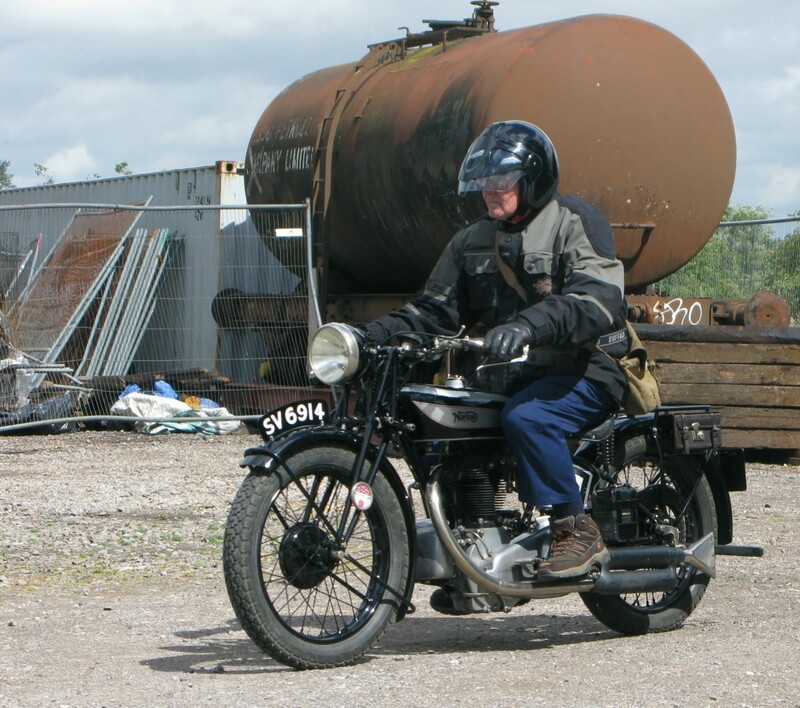 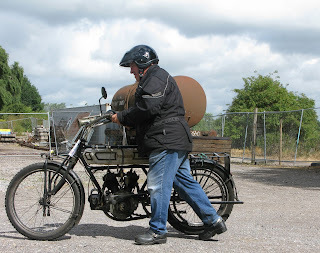 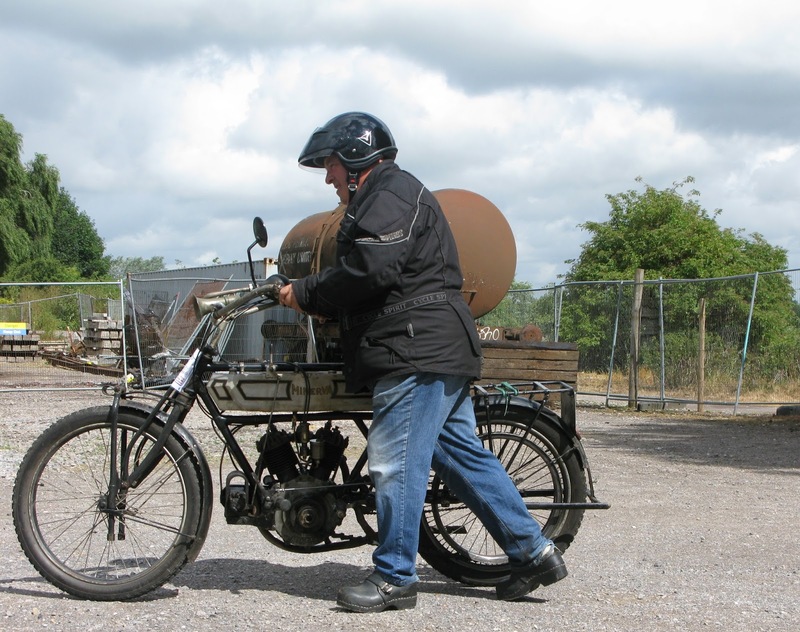 Two very wonderful if rather scruffy pictures of a gentleman and his Henderson four combination. On the reverse one of them is labelled 'Khyber Pass 1922'. 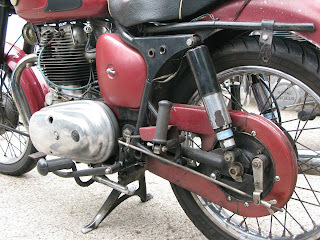 There must be a great story behind it all. 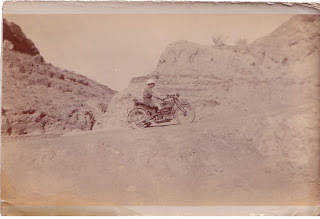 The Khyber Pass has always been a wild frontier and the chap looks like he may be a military fellow but on a machine far more glamorous than was ever used by HM Forces. Perhaps he was a wealthy officer and this was his private steed? 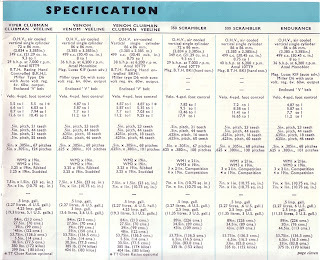 Click on the pictures to get higher res images. 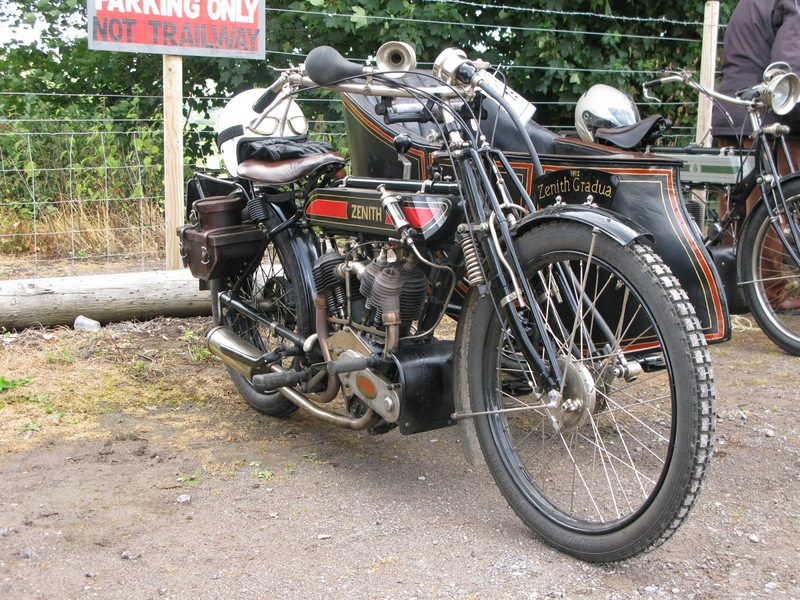 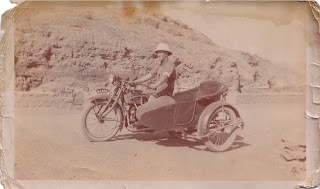 1922 Henderson on the Khyber Pass. 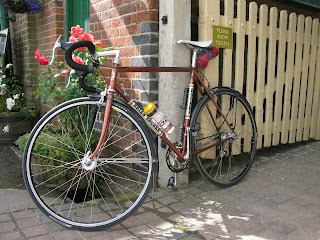 The concept is a small town in Wiltshire, great roads all around it and one day a year when loads of bikes descend. 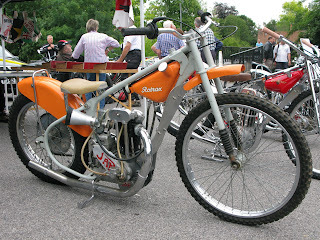 It's not the first event of its kind but has been going a few years and gets a good turnout of interesting people and machines. 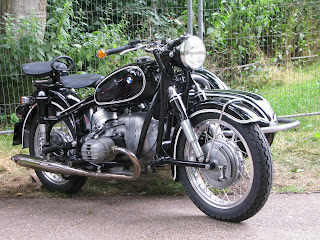 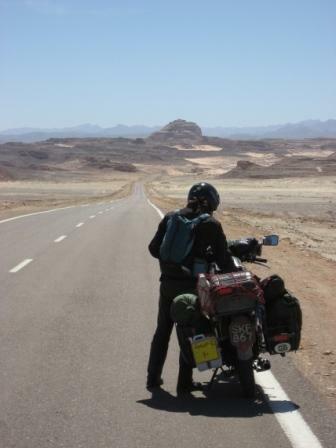 I rode up to give the newly aquired BMW R100RS a test run (more of which to come). A beautiful summers day and great roads running past West Kennet Long Barrow and Silbury Hill. 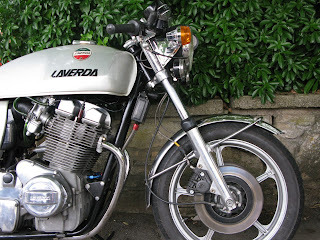 Mellowed Laverda Jota 1000 snuggling up to a hedge. 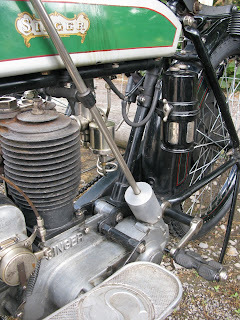 optional extra Smiths 'D' speed is a good period touch. 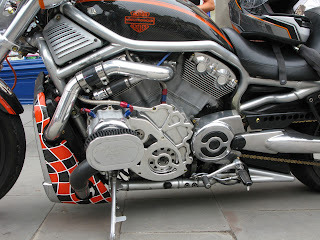 Supercharged Harley V Rod. 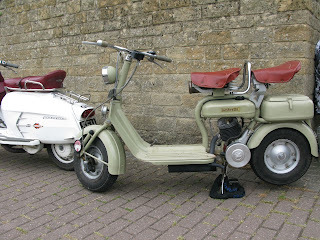 Matching helmet! 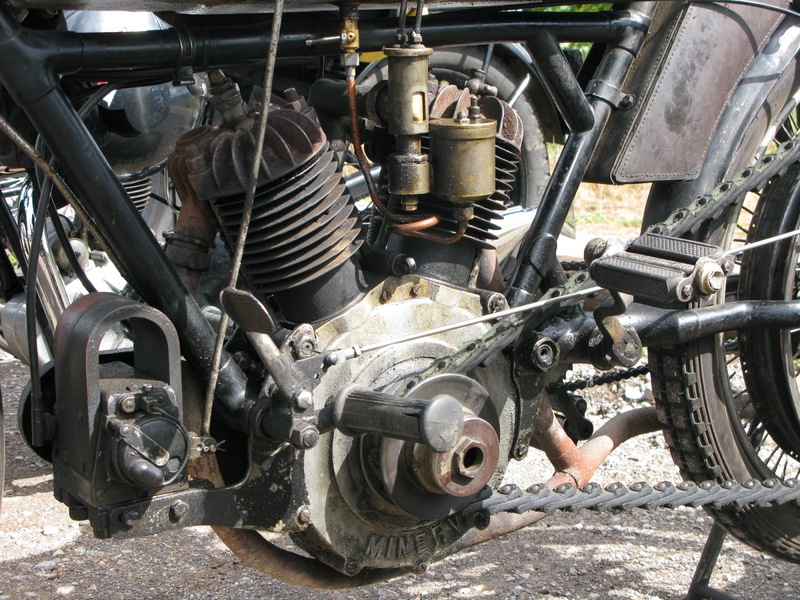 crankcase so perhaps has some interesting history. with lightweight Watsonian Stratford makes a fine combo. Very shiny BMW /2 and Steib rig. V8. 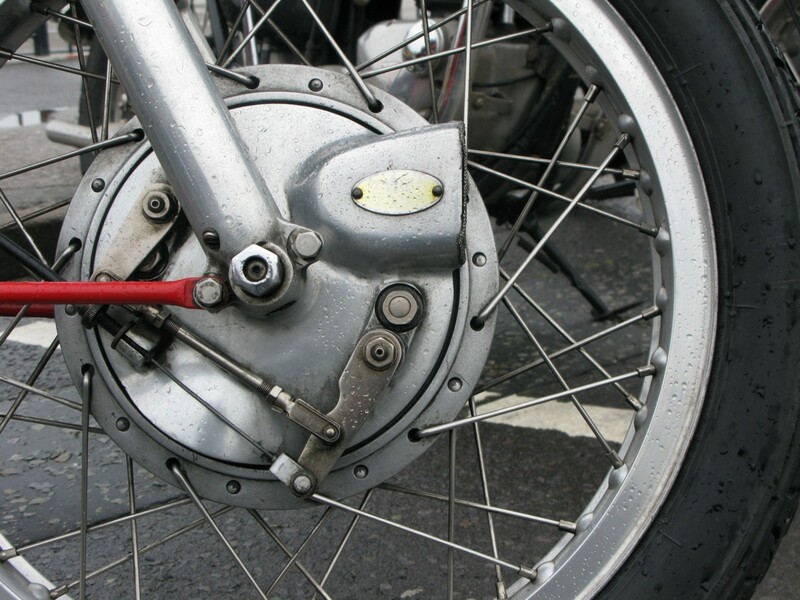 Love those big finned brake drums! 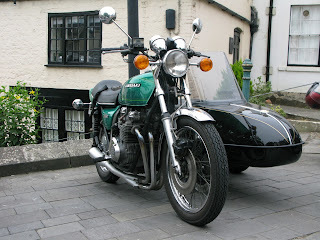 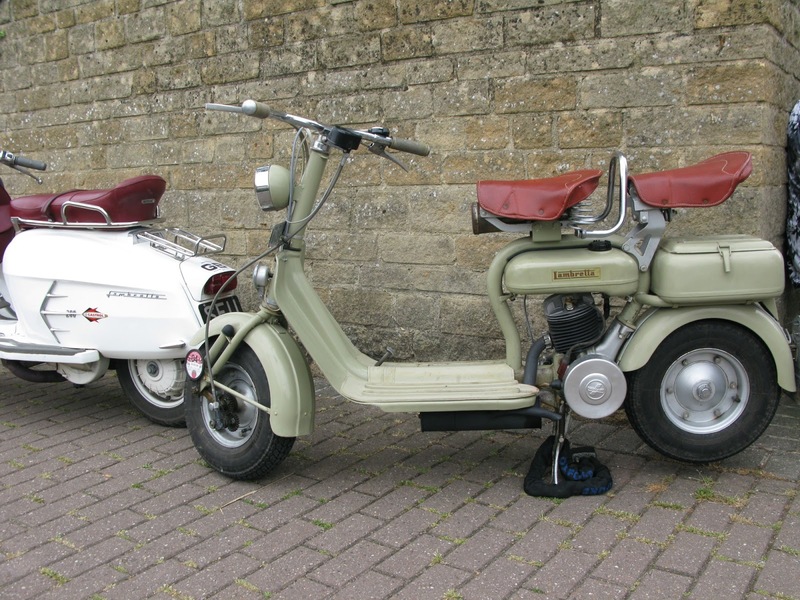 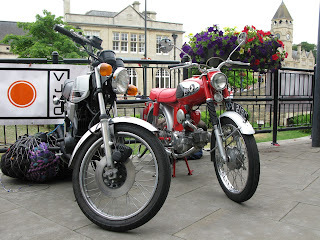 Last and certainly not least a Yamaha RD200 and a Honda S90. 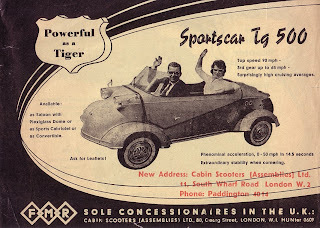 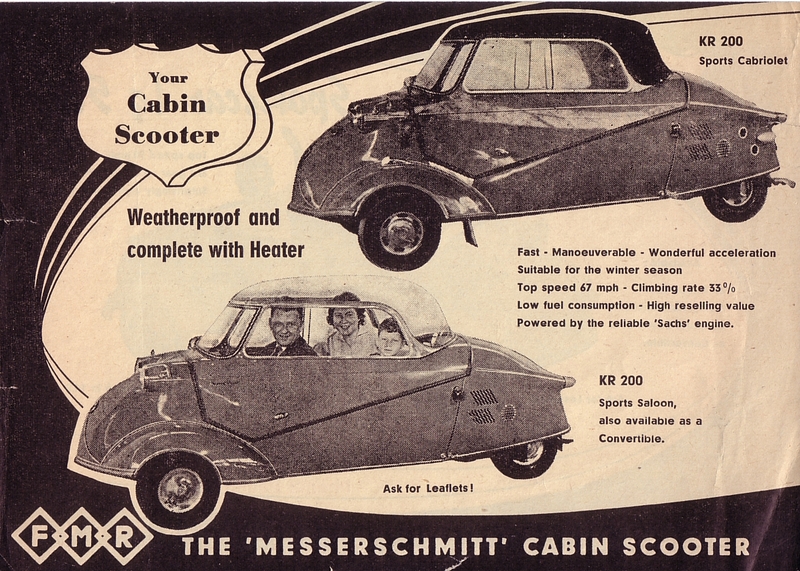 Sorry, not sure of the year but here's a leaflet for the Messerschmidt microcar range. 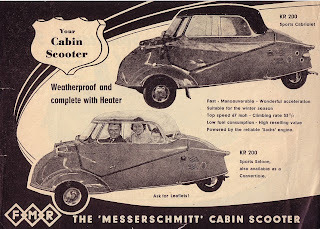 Looks like it was translated and printed in Germany from the look of the models in the pictures and the occassionally wayward spelling. John Tickle Norton front brake plate. 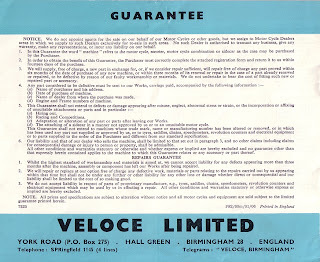 ﻿I recently came by a small cache of fifties and sixties brochures all as original postage packs with envelopes, covering letters, price lists and brochures. 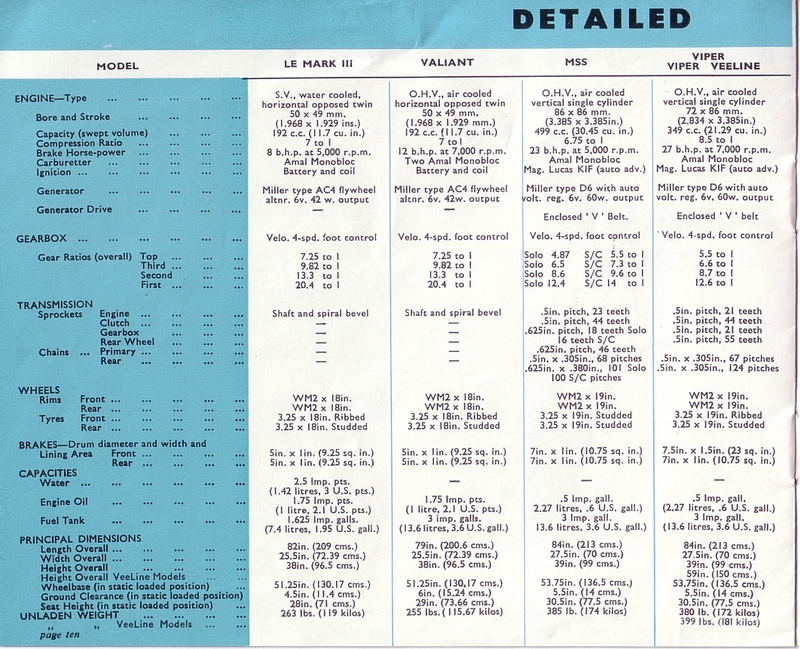 For this first one I've maxed out on nerdiness and scanned the whole lot. 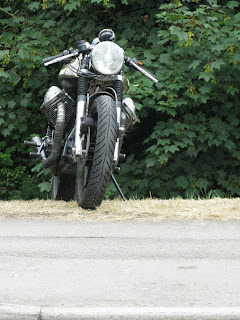 There might be someone out there other than me who actually finds this interesting. 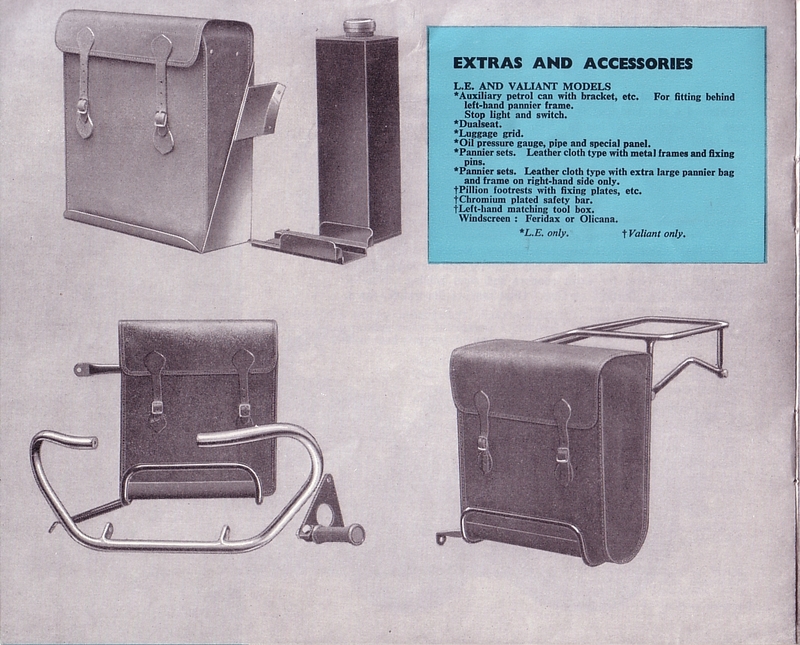 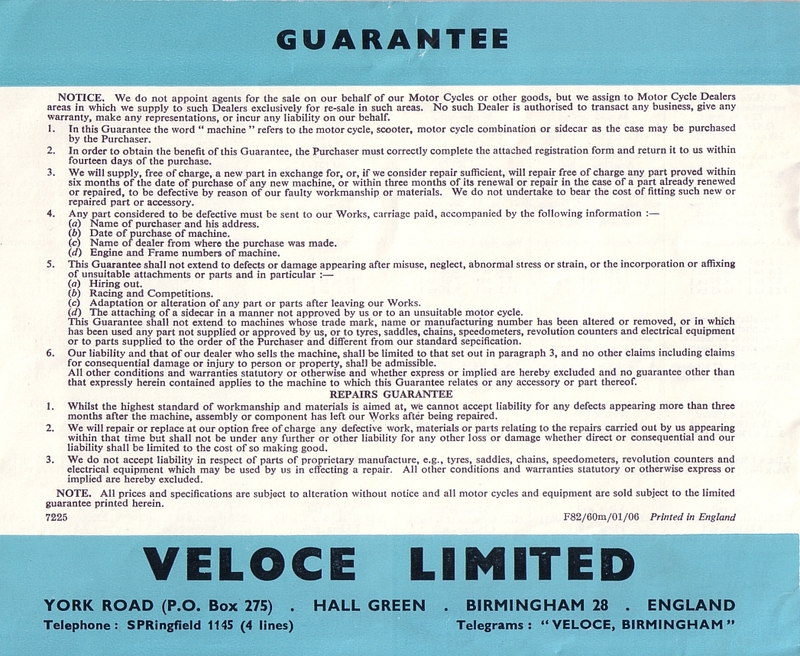 Anyway, if you are still reading, this is the 1961 Velocette promo pack with envelope scanned first, then covering letter, price list and brochure. 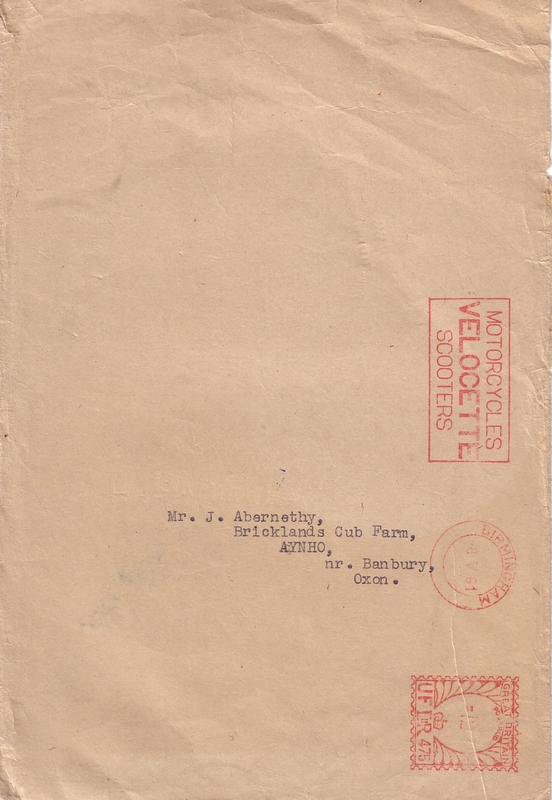 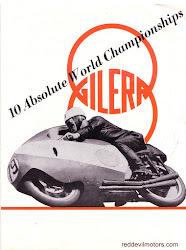 1961 Velocette brochure pack envelope. 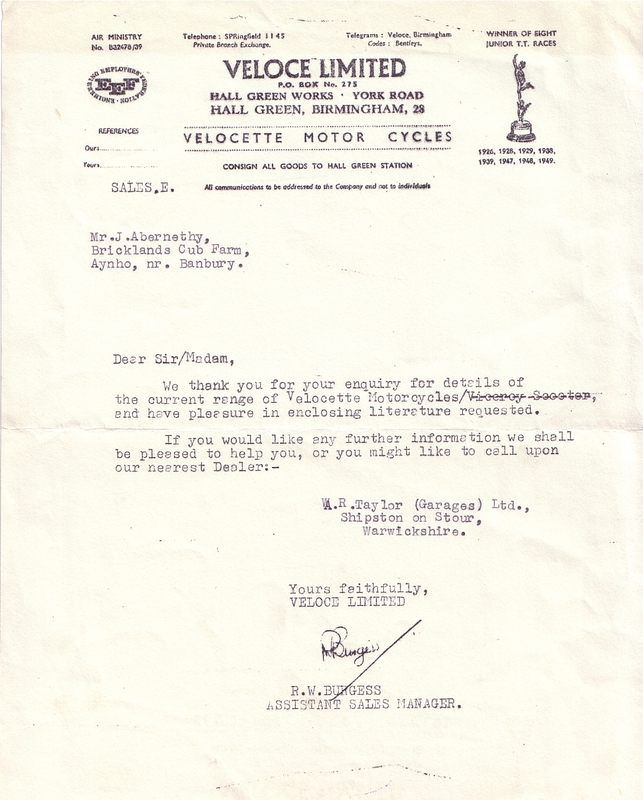 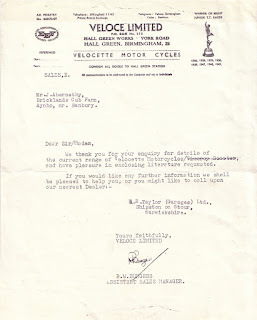 1961 Velocette brochure pack covering letter. 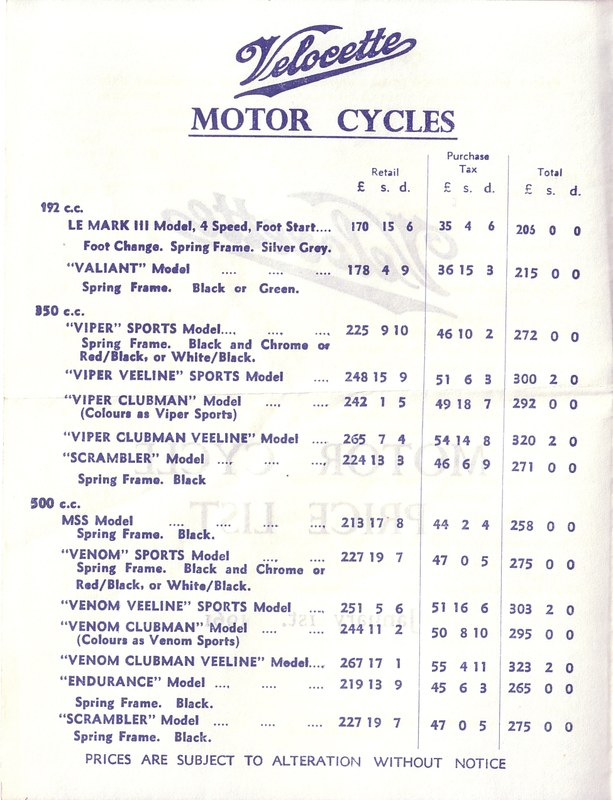 1961 Velocette brochure pack price list page 1. 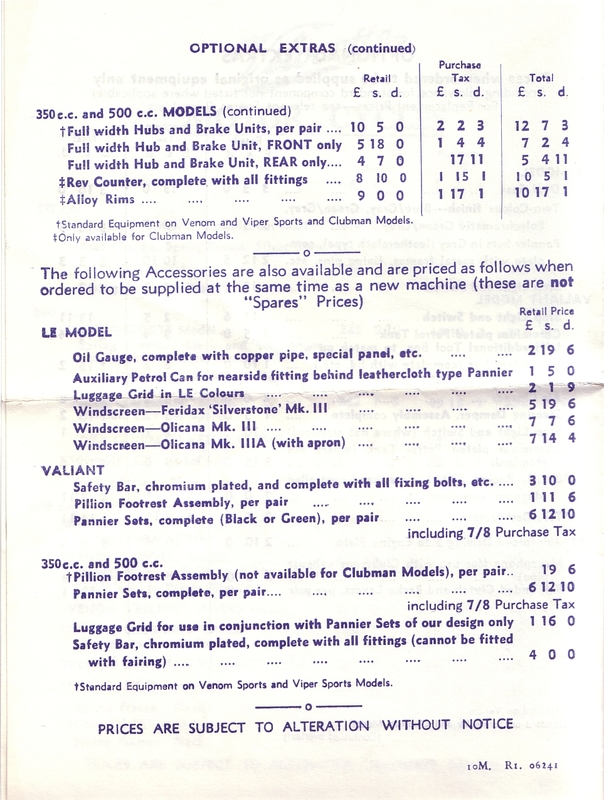 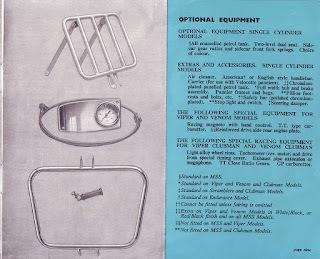 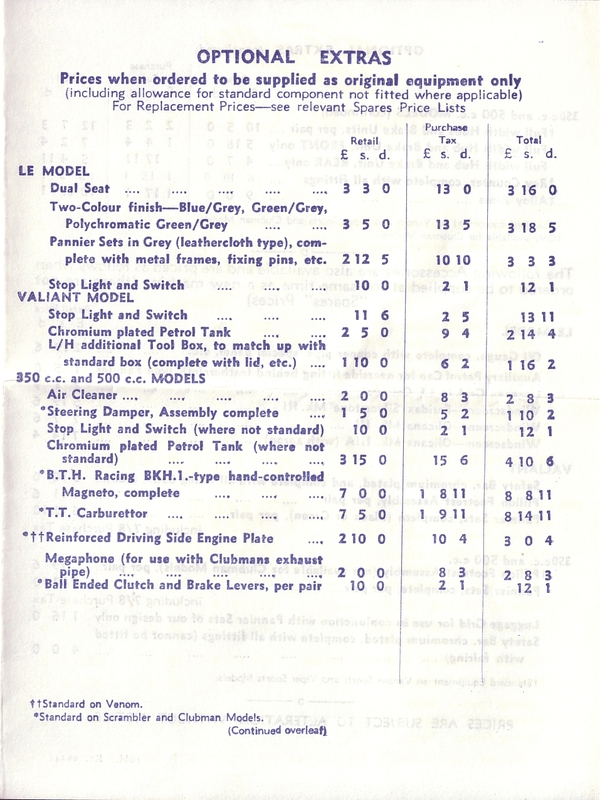 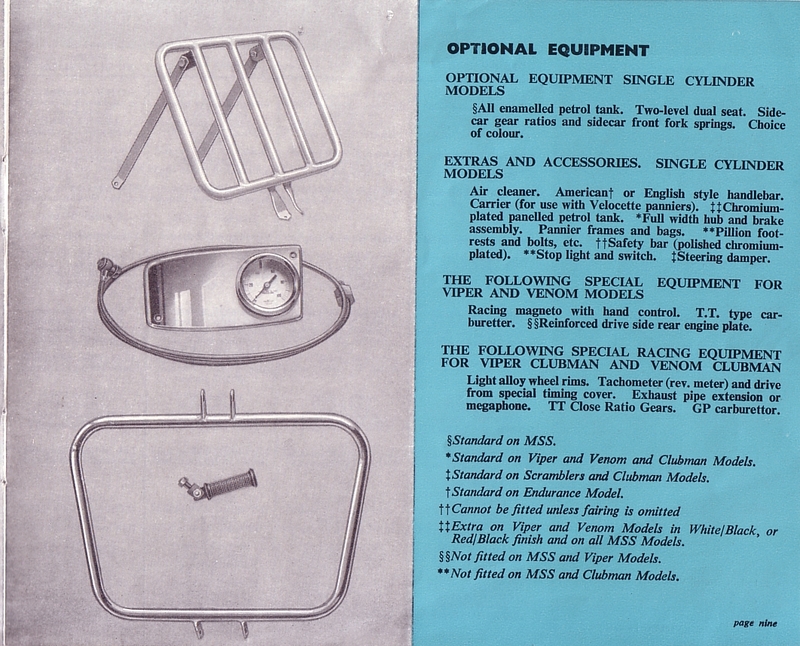 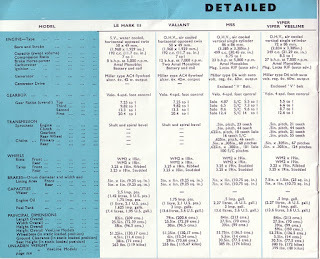 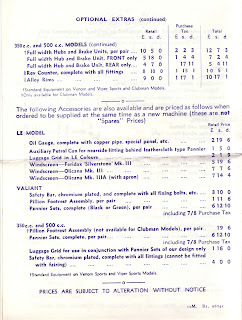 1961 Velocette brochure pack price list page 2. 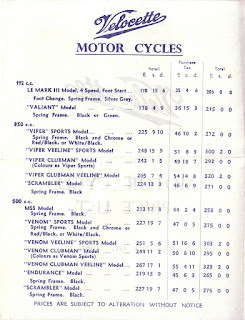 1961 Velocette brochure pack price list page 3. 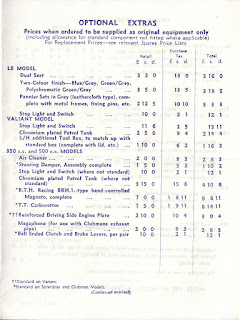 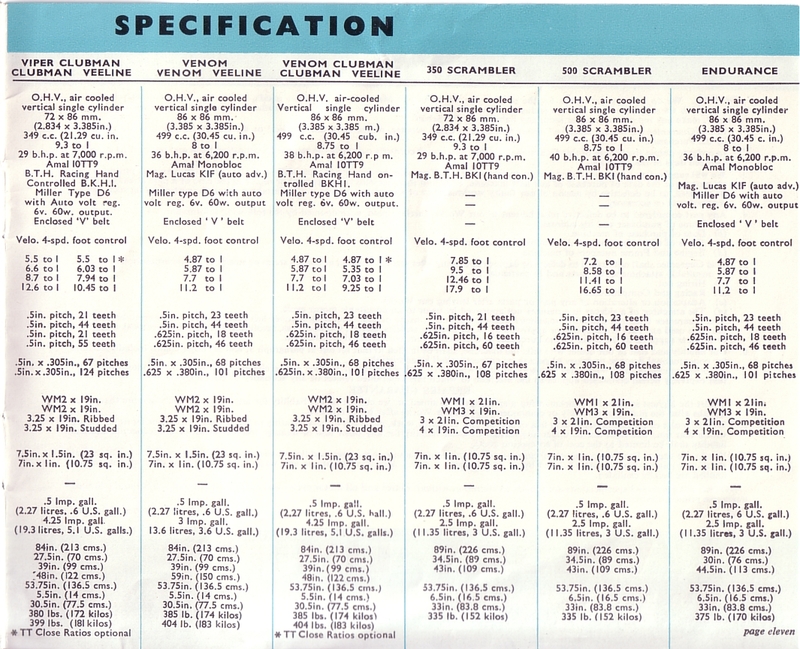 1961 Velocette brochure pack price list page 4. 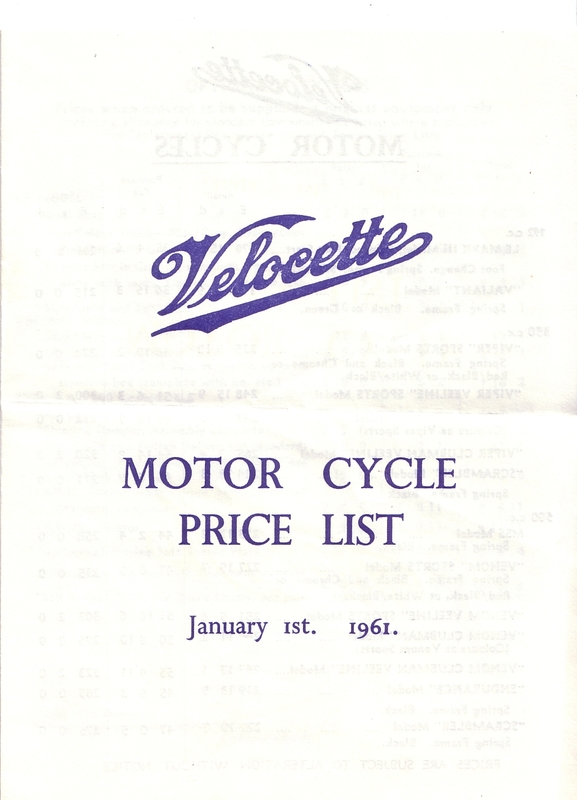 1961 Velocette brochure page 1. 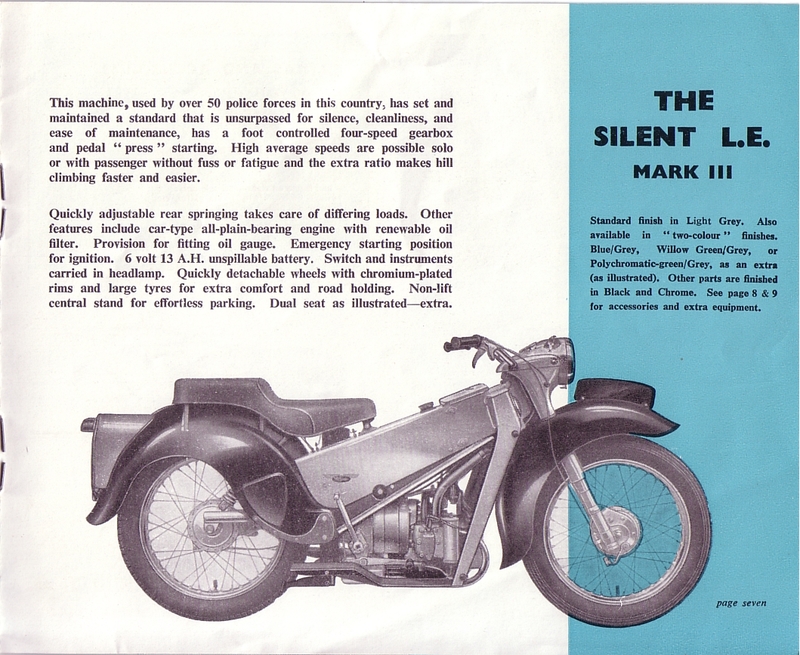 1961 Velocette brochure page 2. 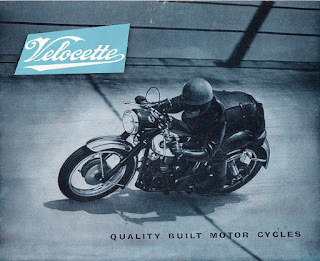 1961 Velocette brochure page 3. 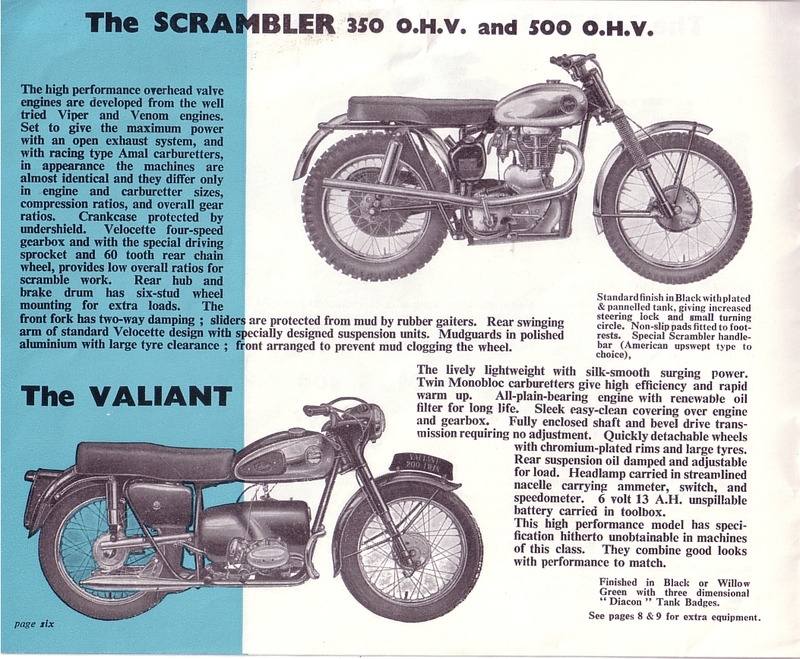 1961 Velocette brochure page 4. 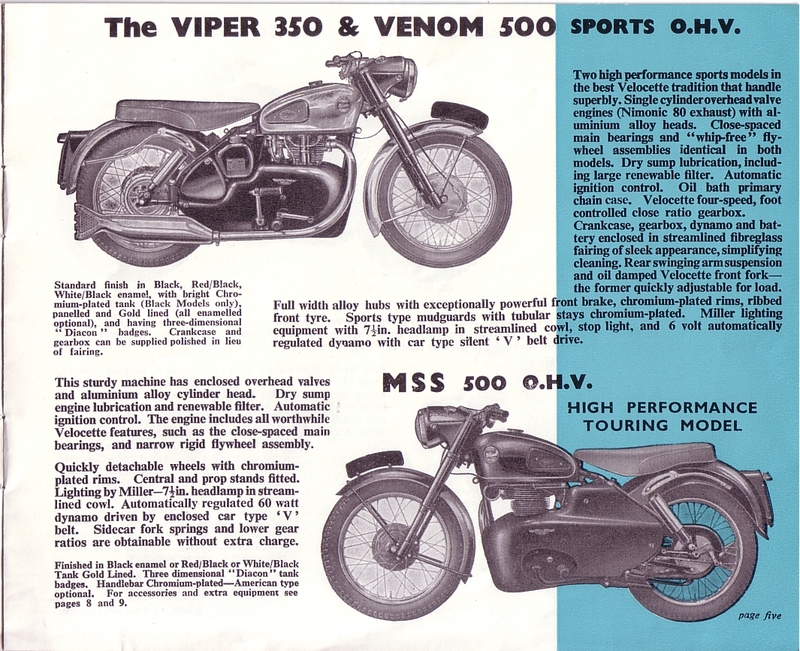 1961 Velocette brochure page 5. 1961 Velocette brochure page 6. 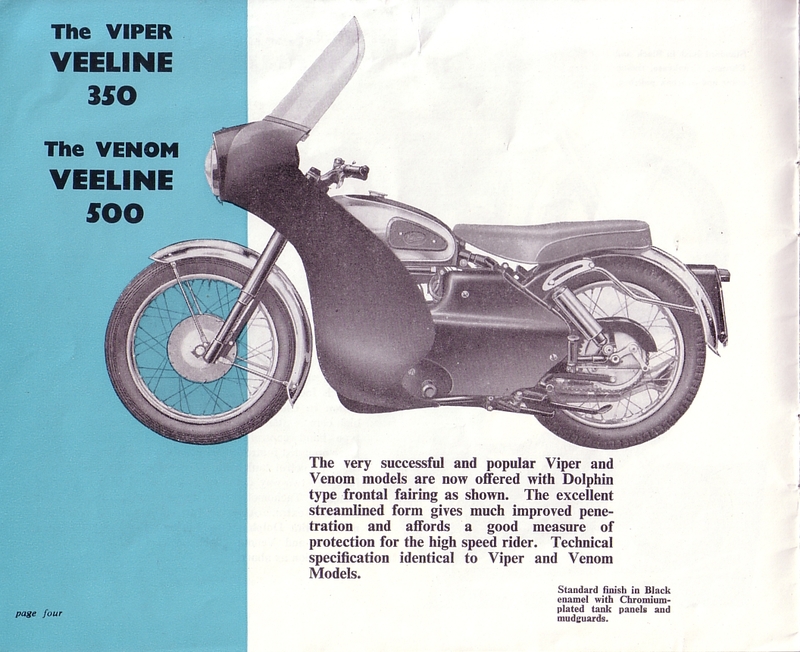 1961 Velocette brochure page 7. 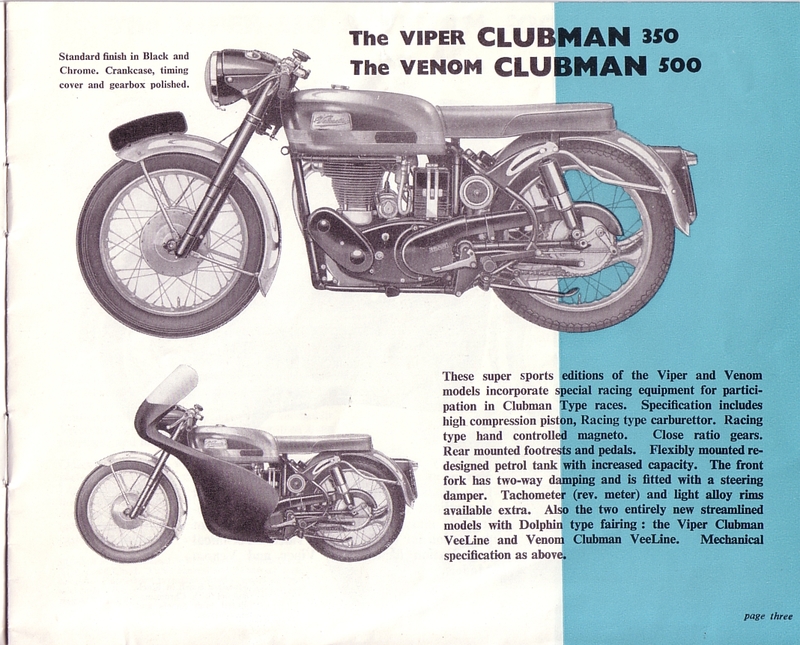 1961 Velocette brochure page 8. 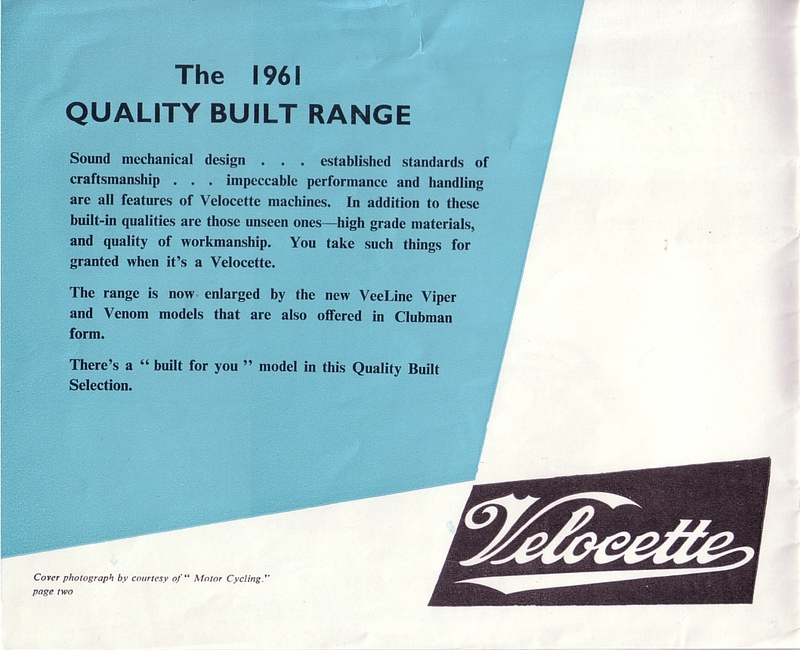 1961 Velocette brochure page 9. 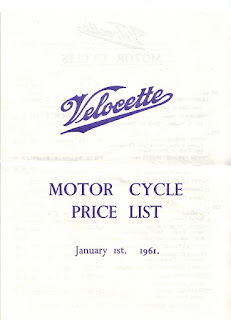 1961 Velocette brochure page 10. 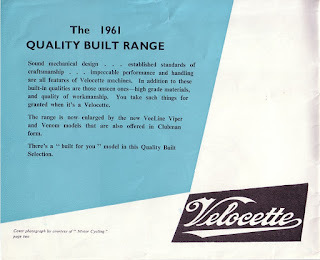 1961 Velocette brochure page 11. 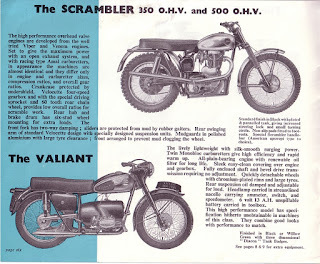 1961 Velocette brochure page 12.